Since I have so many beauty products that I've tried so far and I really want to share to you most of them. I think a categorize or thematic article will be more interesting and easier for me to do, and more fun for you to read. Instead of an exclusive article that reviewing only one specific product. What do yo think? On the days where I spend most of my time outside, under the sun. I prefer to use a light, medium coverage foundation. Using a heavy foundation under the sun might melt it off and clog your pores. This rule applied for 4 season countries, especially during summer time. Instead of rely on a heavy, full coverage foundation to make your skin look flawless and allows your makeup last longer. 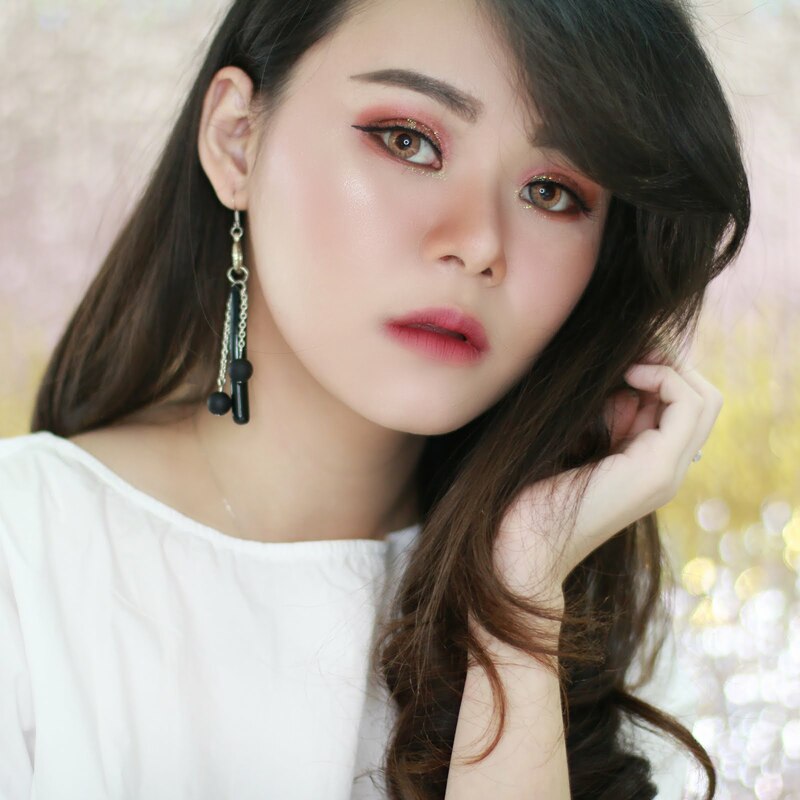 You can just retouch your makeup with compact powder during the day. Right now my favorite one is Maybelline Clear Smooth all In One cake powder. This powder foundation has a shine free formula. I don't like to use it just by itself, but it works good as a touch up powder. Not only to reduce oily shine, it also gives the extra coverage that you might need. Maybelline Clear Smooth All In One retail for about 50.000 IDR, the refill cost only about 30.000 IDR. This is the first Avene product I tried. Oily skin has turn me into a matte foundation lover. For the same reason I refused to try a face mist. I thought face mist would turn my face cakey. My love to face mist product started for the first time after I tried Avene Thermal Spring Water. Not only is it refreshing, fine mist of this product also helps to control my oiliness. It soothes and calms my tired skin. I had it with me during my trip to Bandung with Garnier *check out the Vlogs at #GarnierRetreat*. Thanks to this product, my makeup looks good all day long. Avene Thermal Spring Water available in many size. Mine is the one with 50 ml product inside, which is the smallest size if I am not mistaken. The size is perfect for travel. I want to take it with me on my upcoming trip, but the container is pressurized with nitrogen. I am not sure if this product will be acceptable for carry-on luggage. Help me know if you do, by comment down bellow please. 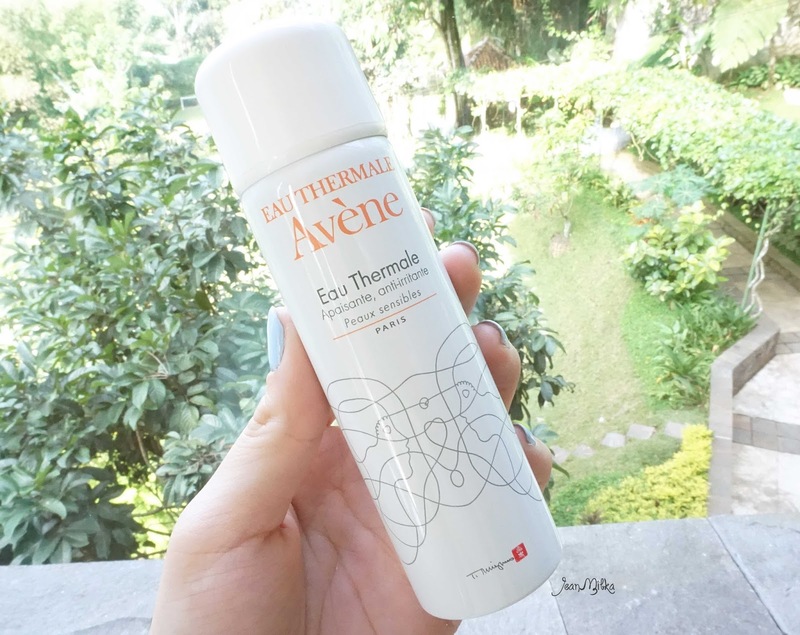 The 50 ml size of Avene Thermal Spring Water retail for about 95.000 IDR. Even thought it's pricey, I will keep repurchasing it because it is so invigorating. Even though it's summer you will still need to moisturize your lips. 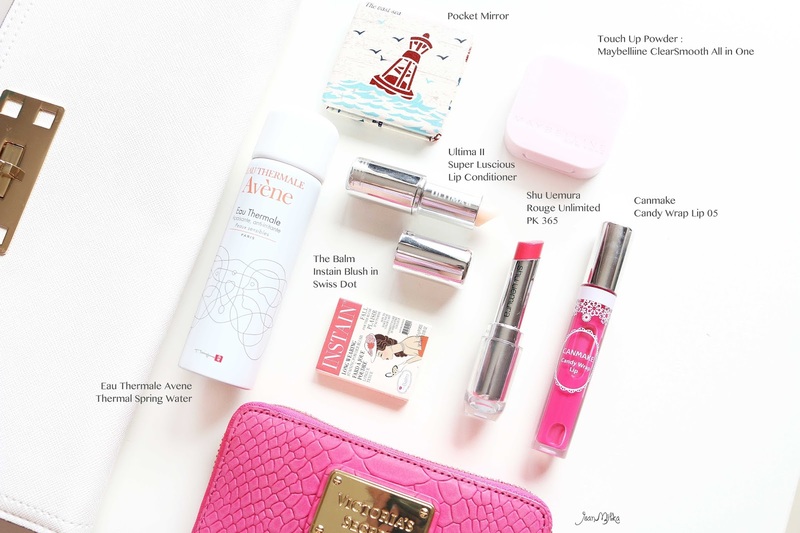 I've been trying the Ultima II Super Luscious Lip Conditioner. Not like other lip balms, Ultima II Super Luscious Lip Conditioner comes in a lipstick container that you can turn up. It's easy to apply and works good along with matte finish lip product. Lip balm can sometimes change the matte finish texture of a lip product into a satin or glossy finish. 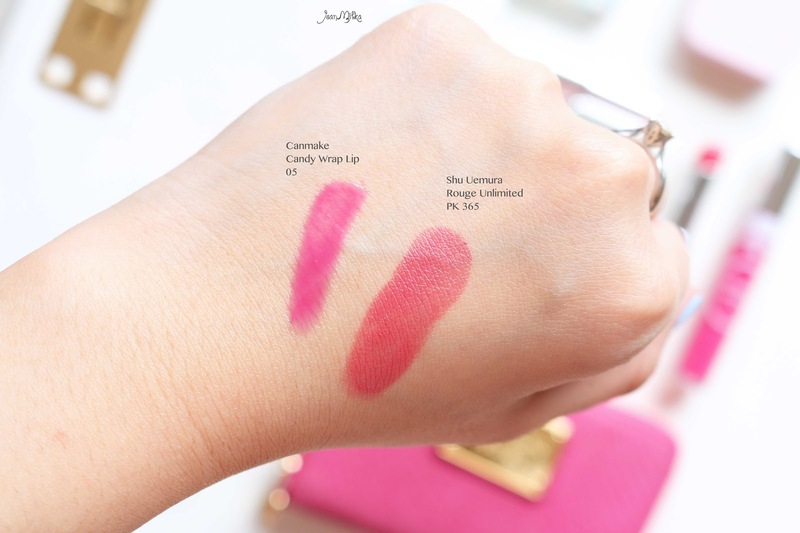 With this lip conditioner you can apply matte lipstick just right after you apply the lip conditioner. It doesn't change the end result. It also helps to keep your lips moist, reduce fine line and prevent cracked lips. The next product I always carry with me is lipstick. Lipstick is one of the beauty must have in every girls' makeup pouch. I guess you carry more than one lip product at a time #IKnowYou ^^. On Summer, a bright lipstick is a must. I like either bright pink or orange shande that looks fresh along with my makeup. My current favorite is Shu Uemura Rouge Unlimited in shade PK 365. The color is reddish pink with satin finish. Another lip product that I love right now is Canmake Candy Wrap Lip in number 05. The color is a bright fuchsia with blue undertone. The formula is light and doesn't feel sticky. A lip gloss lover will want to collect this gloss collection from Canmake. Unfortunately it fade off so easy. I think most lip gloss have same drawback with the lasting power. Price wise it's affordable, maybe around 110.000 IDR in Indonesia. Last but not least is a blush on. 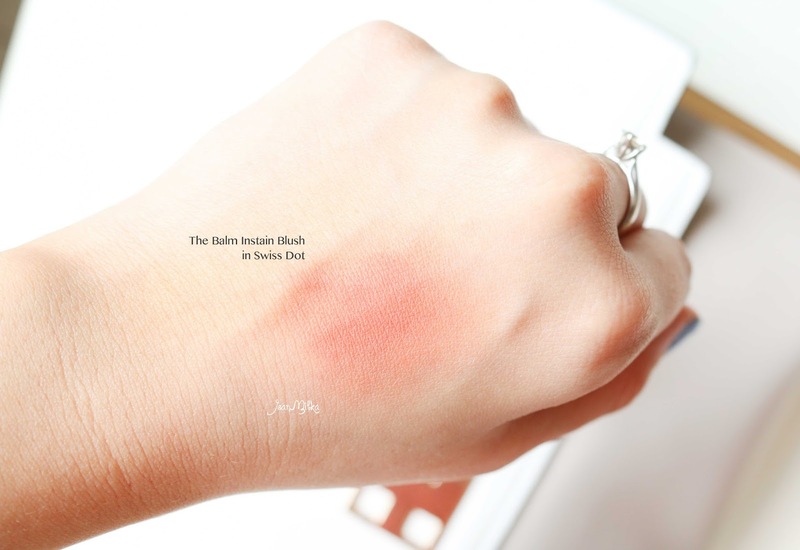 I currently like The Balm Instain Powder Blush in shade Swiss Dot. At first, I just throw it into my makeup bag because of the size that is only half of the full size product. Thanks to the Summer heat, I mean the humid air of Indonesia, combine with my oily skin, my blush on fadeed off in a couple hours. I didn't reapply the blush on very often. 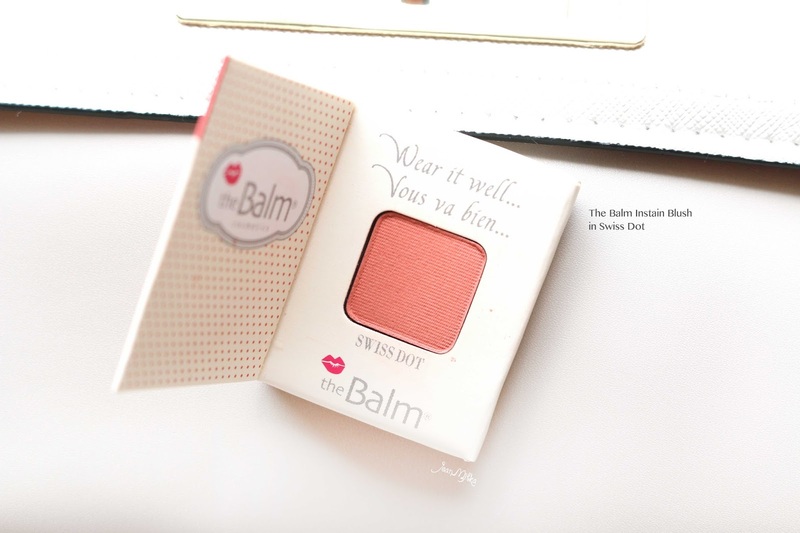 When I did, The Balm Instain in Swiss Dot is my current favorite. The color is an orange Terracotta that gives healthy glow to my check. Disclimer : Some of this product was sent to me for further assessment and review. This Article is but a reflection of my personal thoughts and experience. 6 komentar on "Everyday Summer Essential That You Need"
anyway, YES, it can be brought on airplanes.. I've brought my evian spray once and it's fine (smallest size)..
i also googled it just to make sure :p http://www.avene.co.nz/faqs/# .. I never tried Evian. But yah Avene spray has a lot of benefits for skin. Not only as a refreshing spay, it also works as a calming spray for sensitive skin. I heard that It could reduce redness on sensitive skin.